This site explains what is appropriate in image processing in science and what is not. It also shows how best practices in handling images intersects with other best practices. the twelve guidelines for best practices in image processing, with Photoshop videos illustrating each guideline. a list of mistakes people commonly make and a quiz to teach how to avoid them through understanding the reasons for the guidelines. 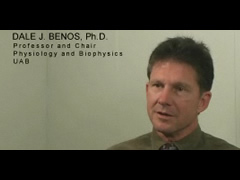 a case study section including an interactive video case study that shows how, when best practices in image processing, mentoring, and authorship are used, the entire research group benefits, and a handout for live group discussion. some examples of unethical research behavior and consequences of not conforming to best or even marginally good practices. a section on the relationship between best practices and compliance, including a videotaped interview with a journal editor. The site is intended for students and faculty members to help use and encourage best practices for promoting research integrity in their research groups. The site is also intended for researchers and administrators at all levels to help to teach best practices for research integrity among students and colleagues alike. Case Study: Learn how the image guidelines intersect with best practices in mentoring and authorship. 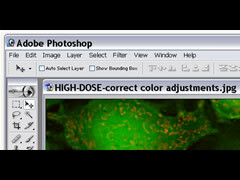 Guidelines Photoshop Videos: Illustrating the guidelines for appropriately handling images. Journal Editor Interview: Suggestions for how to encourage best practices on a university-wide basis. © 2008 University of Alabama at Birmingham. All rights reserved. All materials can be re-used for educational purposes without permission.